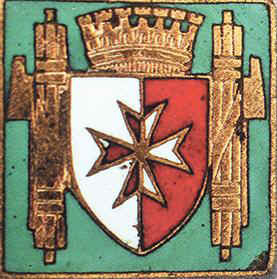 The lapel badge worn by the members of the Comitato dazione maltese during the war. After Italy foolishly sent an unprepared military force to North Africa, Germany was forced to come to its weaker allies aid. Many scholars think that the German adventure in Africa, and later in the Balkans, on the behalf of Italy threw them so far behind in their schedule that they ultimately lost the war in a bitter Russian winter. Rommel was in North Africa fighting the British to a draw, but to keep him supplied, fuel. Ammunition and war materials had to cross the Mediterranean. The British controlled island of Malta sat alone along the precious Axis supply route and was in a position to starve the German troops. The answer was simple, bomb Malta into submission and then the supplies could be easily sent to the Desert Fox. Since I want to talk about the propaganda leaflets of this battle I will use Wikipedia to give the reader the background of the battle. This Battle of Malta in the Second World War was a military campaign in the Mediterranean Theatre from 1940 to 1942. The fight for the control of the strategically important island of Malta, then a British colony, pitted the air forces and navies of Italy and Germany against the Royal Air Force and the Royal Navy. Many Maltese backed the Fascist government of Italy and sabotage and espionage were always a British concern. 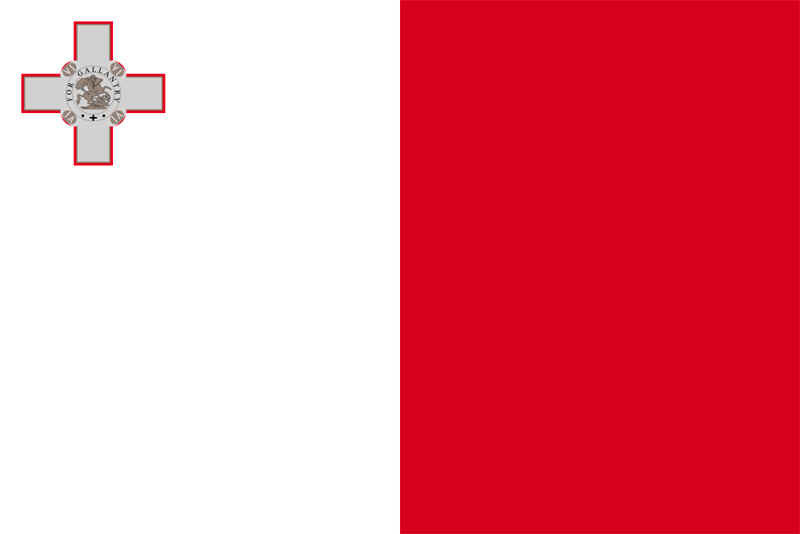 A significant part of the Maltese population wanted to join the Kingdom of Italy, especially after the advent of Fascism that claimed that Malta was Italian. "7 June" is one of the national holidays in Malta . It commemorates the events of June 7, 1919, when British troops fired on the unarmed crowd demonstrating against rising bread prices as a result of new taxes introduced by the British authorities. This event strengthened the pro-Italian feelings of many of the Maltese population. Carlo Mallia founded the Maltese Action Committee in Rome. With the onset of hostilities, numerous activists living on Malta were arrested by the British government and deported to prison camps in Uganda. Malta is not English for usurpation and I am not a British subject because of this usurpation. My true homeland is Italy. It is therefore for her that I must fight. King Vittorio Emanuele III of Italy awarded him the gold medal for military valor. The Axis resolved to bomb or starve Malta into submission, by attacking its ports, towns, cities, and Allied shipping supplying the island. Malta was one of the most intensively bombed areas during the war. The Luftwaffe and the Regia Aeronautica flew a total of 3,000 bombing raids over a period of two years in an effort to destroy RAF defenses and the ports. Success would have made possible a combined GermanItalian amphibious landing to be named Operation Herkules supported by German Fallschirmjäger (airborne forces). The Germans and Italians failed. Allied convoys were able to supply and reinforce Malta, while the RAF defended its airspace at great cost in material and lives. In November 1942, the Axis lost the Second Battle of El Alamein, and the Allies landed forces in Vichy French Morocco and Algeria under Operation Torch. The Axis diverted their forces to the Battle of Tunisia, and attacks on Malta were rapidly reduced. 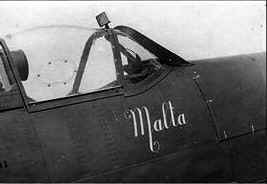 The Battle of Malta effectively ended in November 1942. In December 1942, air and sea forces operating from Malta went over to the offensive. By May 1943, they had sunk 230 Axis ships in 164 days, the highest Allied sinking rate of the war. The Allied victory in Malta played a major role in the eventual Allied success in North Africa. 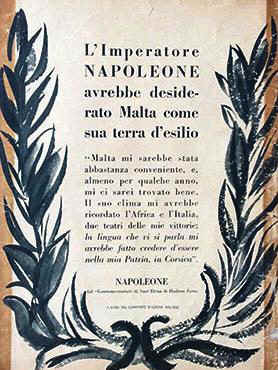 This poster and the next were printed in Malta by Maltese Lithographers. They are part of a collection of Thank You Malta Posters. 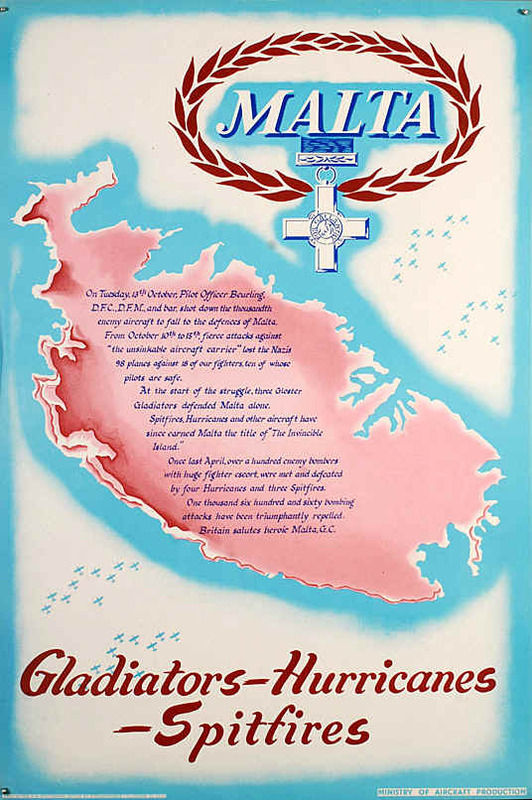 The posters were produced to publicly acknowledge the role played by the Maltese public in raising much needed funds for two Spitfire fighter aircraft for the defense of Britain during the crucial Battle of Britain. A news-clipping dated 14 September 1940, says that the Anglo-Maltese League had sent 4,000 pounds to the British Minister of Aircraft Production bringing the total sent to 10,000 pounds. This was the second installment toward paying for a Spitfire. The President of the League ends with a hope that the balance required to fully pay for the plane will soon be collected. 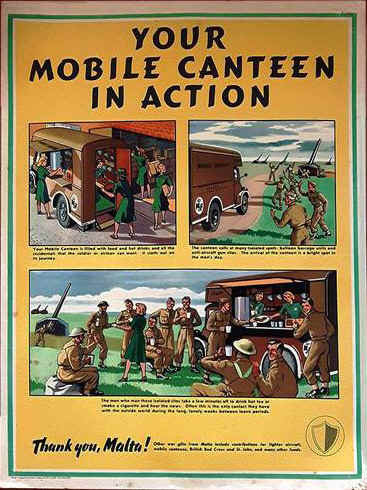 This Thank You Malta Poster was for funding a mobile canteen. Other funds went to buy medical supplies for the British Red Cross and the St. Johns Ambulance Brigade. The fundraising was mostly carried out early in the war by the Anglo-Maltese League. 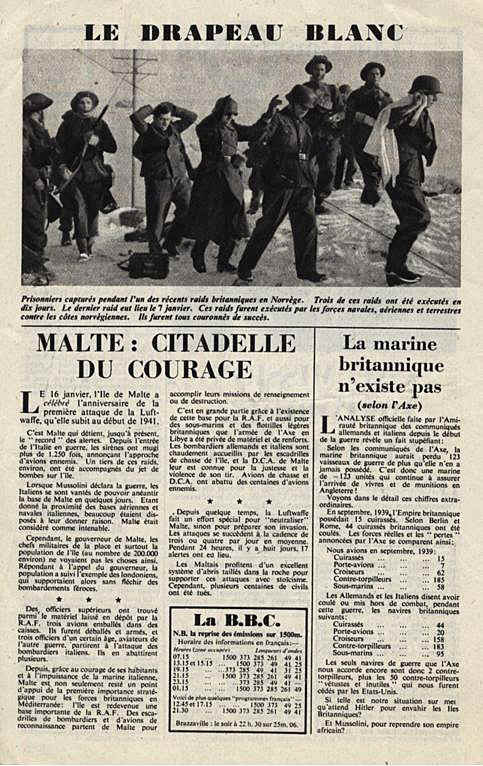 During the Battle for Malta a UK based Malta Relief Fund was started in return which raised far bigger funds to help out the beleaguered islanders with food, clothing and medicine. Unfortunately we do not have a good example of Allied leaflets that mention Malta. 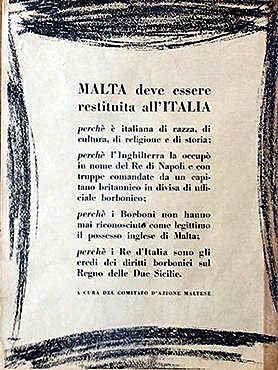 We do have a set of eight Italian leaflets to the people of Malta, reminding them that they are Italian. We have found a few British leaflets, but in general they are newsletters that just mention the Island in passing. Malta was a British operation and we do not find much data in American records. I studied the Archives on the Falling Leaf, the journal of the old international PSYWAR Society and found 11 references but none were worth adding to this story. I looked through German records without much luck. My friend Lee Richards had 14 examples of British propaganda in his leaflet archive on Psywar.org that mentioned Malta, but just a few were illustrated. In general, this was a small battle fought in the middle of the Mediterranean with little hoopla or publicity in the United States. The Italian fleet did surrender at Malta so there were some news stories on that event. So, although we know we will not have all the images we usually find in such battles, we will try to give a balanced look at the Siege of Malta. On hearing the great signal all of you on to the square armed with whatever you can lay your hands on: Hoes, pickaxes, shotguns, even sticks. 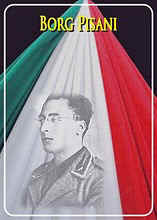 Create a civilized and democratic Italy and be ready for the call to COUNTER- REVOLUTION. 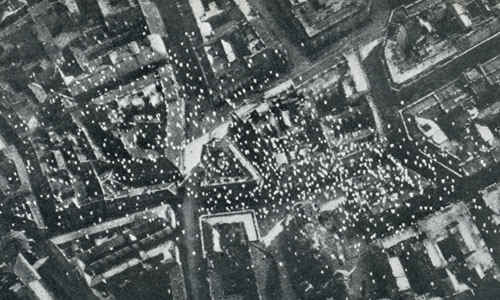 10,000 leaflets printed in January 1941 were titled Mussolini or Bombs? and threatened the Italians with bombing. 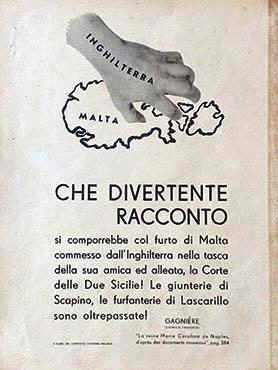 In April 1941 a leaflet printed in Malta was titled Rome in Danger. The British threatened to bomb Rome if the Italians bombed Athens or Cairo. 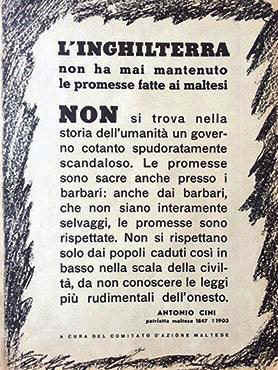 We start with the Italian leaflets. The Island of Malta is evidently the property of the King of Naples, and any discussion about this would be useless. Lord Nelson, October 13, 1798. 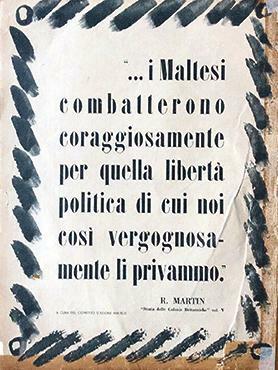 The Maltese fought valiantly for that political liberty of which we have so shamefully deprived them. [Robert Montgomery] Martin, History of the British Colonies. 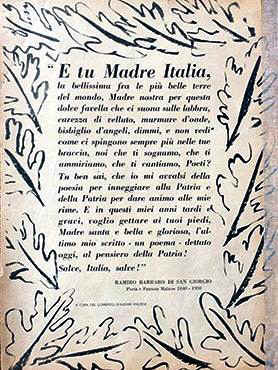 And you, Mother Italy, the most beautiful among the most beautiful lands in the world, our mother for this lovely language that rings from our lips, caress of velvet, murmur of the waves, whispering of angels, tell me, dont you see how they push us ever more into your arms, we who dream you, who admire you, who sing you, poets? You well know that I availed myself of poetry to sing hymns to my motherland, and of my motherland, to give a soul to my rhymes. And in these my late and heavy years, I want to throw at your feet, Mother most holy, and beautiful and glorious, my last words  a poem  inspired today by the thought of my motherland! Hail, Italy, hail! Ramiro Barbaro di San Giorgio, Maltese poet and patriot, 1840-1920. 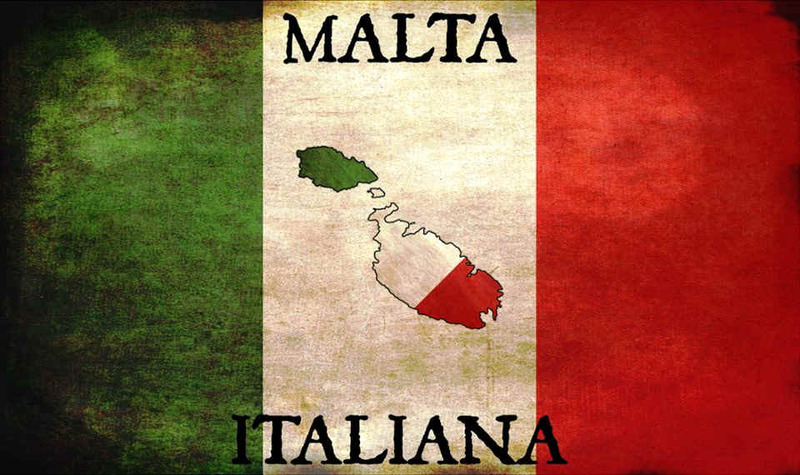 Malta must be returned to Italy, because it is Italian by race, by culture, by religion and by history. Because England occupied it in the name of the King of Naples and with troops under the command of a British officer wearing a Bourbon uniform. Because the Bourbons have never recognised as legitimate Englands possession of Malta. Because the Kings of Italy are the successors to the rights of the Bourbons over the Kingdom of the Two Sicilies. 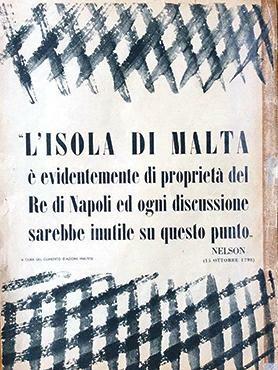 Issued by the Comitato dazione maltese. England has never kept promises made to the Maltese. You will not find, in the history of humanity, a government so shamelessly scandalous. Promises are sacred even to barbarians. Even by barbarians who are not thoroughly savage, promises are kept. They are not respected only by peoples who have fallen so low on the scale of civilisation, that they ignore the most rudimentary laws of honesty.' Antonio Cini, Maltese patriot, 1847-1903. The Emperor Napoleon would have desired to be exiled to Malta. Malta would have been quite convenient for me, and at least for a year or so, I would have found myself well. Its climate would have reminded me of Africa and Italy, theatres of my victories; the language spoken there would have reminded me of Corsica, my native land. Napoleon, in his counter-memorial of St Helena to Hudson Lowe. 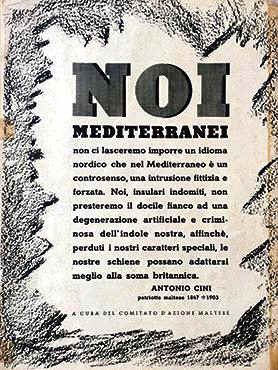 We Mediterraneans will not allow the imposition of a northern language which in the Mediterranean is senseless, an illusory and violent fiction. We indomitable insular people, will not lend a docile flank to an artificial and criminal degeneration of our nature, to ensure that, having lost our special characteristics, our backs will then be better able to adapt themselves to the British burden. Antonio Cini, Maltese patriot, 1847-1903. One of Maltas reconnaissance aircraft failed to return to base today after a mission to drop propaganda leaflets over Tunisia. Destinations for the leaflet drop were the towns of Bizerta, Tunis and Sfax, areas ruled by the Vichy French but currently being used by Axis troops. The Maryland aircraft of 69 Squadron would have to dive to very low altitude to release the tens of thousands of leaflets over the target. An intelligence report has suggested that the aircraft was attacked during the mission and shot down over the sea. However, according to the report only two of the three crew members were rescued from the water and taken prisoner. On January 16th the Island of Malta celebrated the anniversary of the first attack by the Luftwaffe, which it underwent at the beginning of 1941. It is Malta which, up to now, holds the record for air-raid alarms. Since Italy entered the war, the siren of Malta has screamed more than 1,250 times, announcing the approach of enemy airplanes. About one third of these raids were accompanied by the dropping of bombs on the Island. When Mussolini declared war, the Italians boasted that they could wipe out the base of Malta in a few days. Being given the nearness of the Italian Air and Naval bases, many were inclined to think then right. Malta was regarded as untenable. However, the Governor of Malta, the Military authorities of the Fortress, and especially the population of the Island (numbering about 200,000) did not see things in this light. Responding to the appeal of the Governor, the people decided to follow the example of the Londoners, who were then bearing fierce bombing without flinching. Senior Officers found among the equipment left behind by the RAF, 3 airplanes packed in cases. They were unpacked and armed, and three officers of a certain age, pilots of the last war, set off to attack the Italian bombers. They shot down several of them. Since then, thanks to the courage of its inhabitants and to the impotence of the Italian Navy, Malta has not only remained a strong point of the first strategic importance for the British forces in the Mediterranean. The Island has once more become an important base for the RAF. Squadrons of bombers and reconnaissance planes start from Malta to carry out their tasks of information or destruction. It is largely due to the existence of this base for the RAF and also for British submarines and light flotillas, that the Army of the Axis in Libya has been deprived of material and reinforcements. The German and Italian bombers are hotly received by the Islands fighter squadrons, and the AA guns of Malta are known to them for the accuracy and violence of their fire. Fighter planes and AA guns have now shot down hundreds of enemy planes. For some time the Luftwaffe has been making a special effort to neutralize Malta, if not to prepare for its invasion. Attacks follow one another at the rate of 3 or 4 a day on the average. A week ago there were 17 alerts in 24 hours. The Maltese take advantage of an excellent system of shelters cut in the rock to bear these attacks with stoicism. None the less, several hundred civilians have been killed. 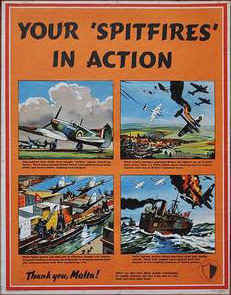 The propaganda of the Axis has made much noise over the attacks on a British convoy on its way to Malta. The British have suffered losses, but the convoy got through. During the battle 43 enemy aircraft were certainly destroyed, and 22 others probably destroyed. A Savoia Marchetti 79 bomber was brought down by a British warship. The approach, bombs gone, banking away, a good target, hit, the dive, the end. 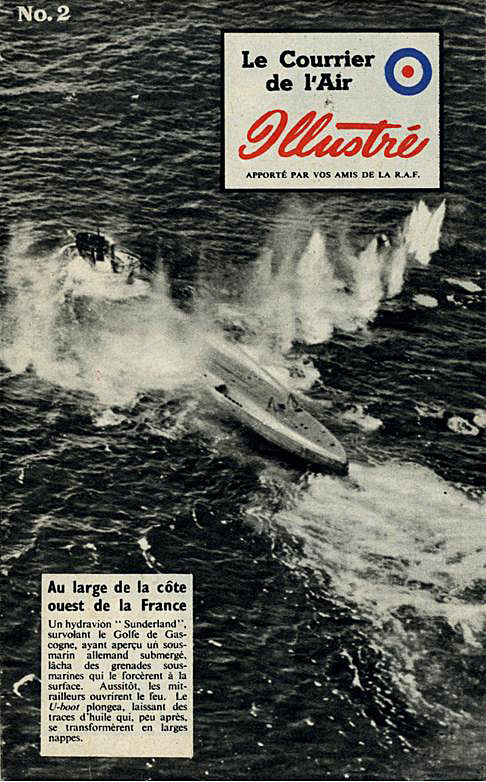 When patrolling the Mediterranean, a "Catalina" flying boat spotted a German submarine steaming on the surface. It fired its gun. The "Catalina" attempted to "land" to take survivors on board, but the rough seas damaged her hull. The aircraft carrier Argus, guarded a convoy on its way to Malta. 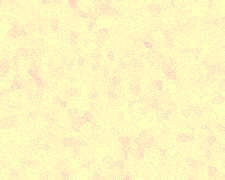 In spite of an avalanche of bombs, the convoy reached its destination. An enemy bomber was brought down in flames. 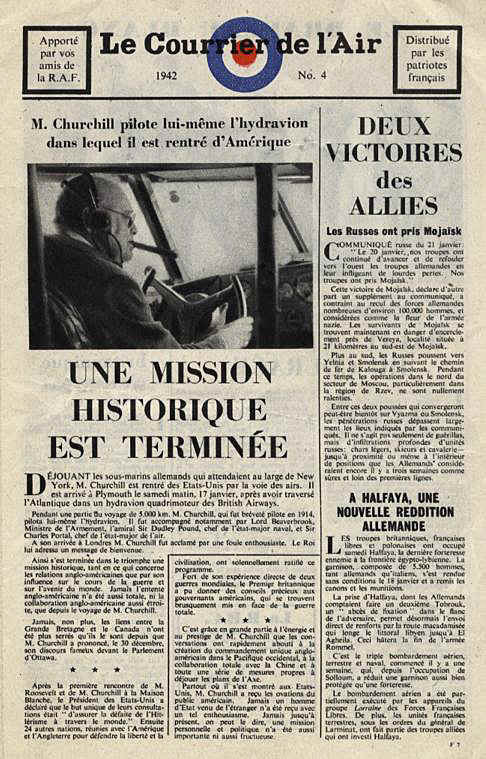 According to Lee Richards, other copies of the British newspaper Le Courrier de l'Air (The Mail of the Air) that mentioned Malta are numbers 13, 30, 118, and 137. 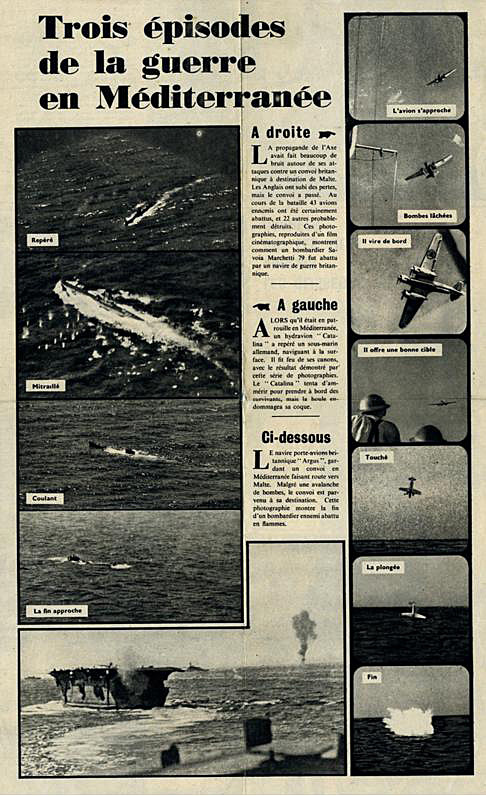 Other known British leaflets to the Allies are Par Avian (by Airmail) issue 2 to France and Belgium, Vi Vil Vinne (We Will Win) issue 2 to Denmark, Revue de la Presse (Review of the Free Press) issues 6 and 18 to France, Le Convei de Malte (The Convoy to Malta) to France, Der Weg nach Tunis (The Tunis Booklet) to Germany, De Vliegende Hollander (The Flying Dutchman) to the Netherlands. And even one to Greece, (On the third anniversary of Malta's first Bombardment). It is clear that the British wanted to spread the news to all the occupied nations that Malta was still fighting. Although we do not have the illustration of these last leaflets we can translate some pertinent paragraphs from a few. For twenty-seven months Malta, besieged, has defended itself and ceaselessly repulsed the repeated attacks of the enemy. On the Germans own admission: the only way to conquer Malta is to sink her. The aerial and naval forces of the Axis have never yet succeeded in preventing the convoys bringing munitions and supplies to the Island fortress from reaching their destination. You will see inside, how the last convoy which left Gibraltar on the 9th of August 1942 got through in spite of the enemys attacks. The convoy was welcomed as it steamed into port by the acclamation of the population of Malta. 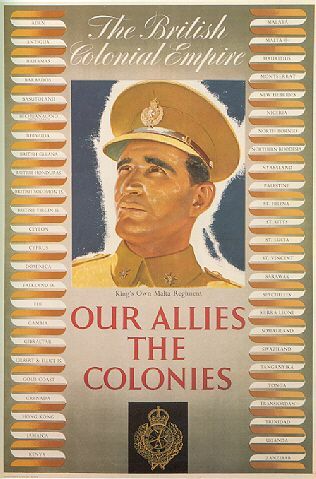 The British WWII poster recognizes all of the Colonial Empire and emphasizes that Malta is an ally because it is part of the British Empire. This British poster commemorates a British pilot who shot down the one thousandth enemy aircraft over Malta. It also tells the story of the air defense of the Island. The Psychological Warfare Division under General Robert McClure immediately recognized that this was a job for radio. No secret was more closely guarded than the fact that one faction of the Italian Government was plotting to overthrow Mussolini and to surrender Italy to the Allies. 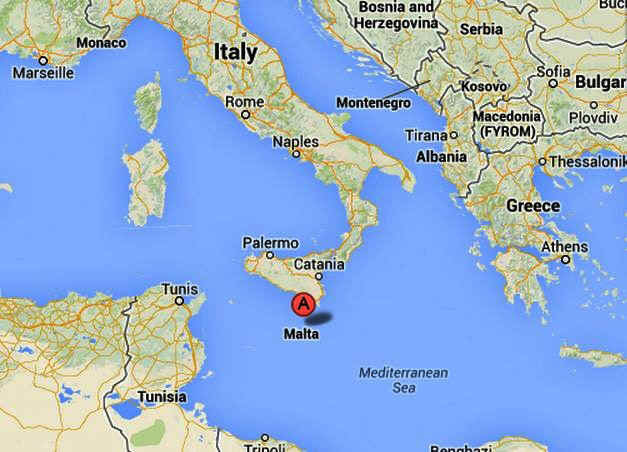 The Italian fleet sailed into Malta to surrender. 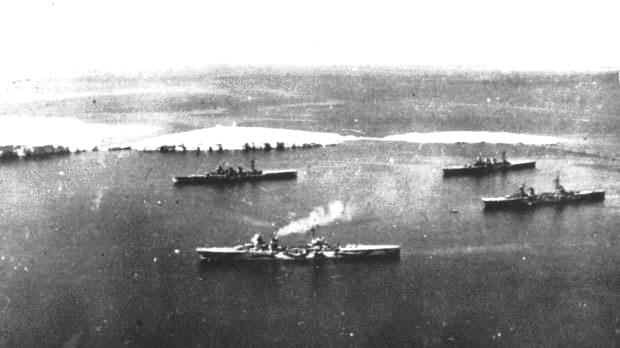 Following the announcement of the Italian surrender, the bulk of the Italian fleet sailed for Malta - three battleships, cruisers and destroyers from Spezia and Genoa, and three more battleships and other vessels from Taranto and the Adriatic. Over 30 submarines headed for Allied ports. This section should not be in this story because the movie was made after the end of WWII. But I can remember seeing it as a child in 1953 and it was a wonderful testament to the British and told the story of a convoy bringing food, weapons and fuel to Malta during the war. The convey is under attack for the entire movie and the fuel ship with its vitally important cargo that is needed to keep the British Spitfires in the sky seems to be lost at sea. It is torpedoed, it is bombed. At the end of the movie there is a wonderful scene where the battered ship limps into the harbor at Malta and thousands of people on the docks and in the hills cheer. It was a wonderful piece of pro-British propaganda. On the feast of Santa Marija (the Assumption of Our Lady), the broken-backed and almost derelict hull of Ohio makes the tight turn inside the mole, rounds Ricasoli Point and heads up Grand Harbor. The crews on the ships are greeted by crowds, cheering deliriously, lining the ramparts and bastions while bands play God Save the King, The Star-Spangled Banner and Rule Britannia. 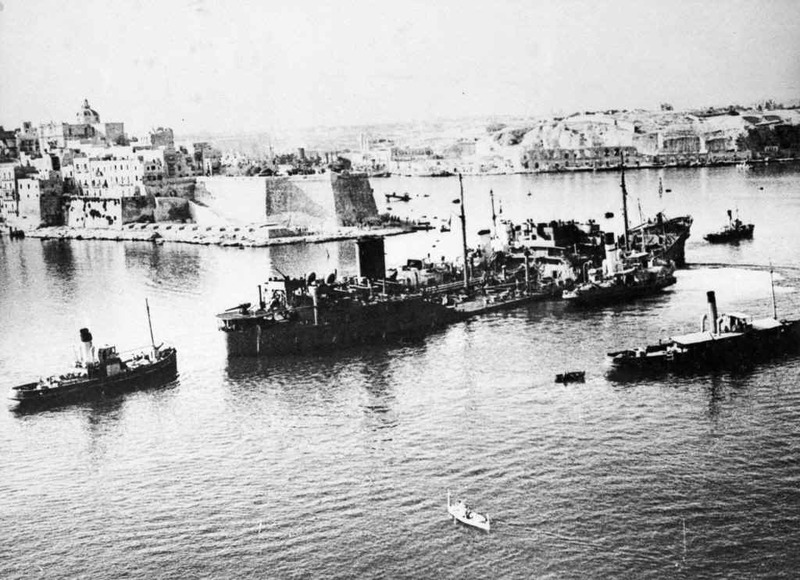 Although 53,000 of the 85,000 tons of supplies loaded on the merchant ships finished on the bottom of the Mediterranean, the remaining 32,000 tons enabled Malta to stave off the target date for the islands surrender, which was the first week of September 1942. 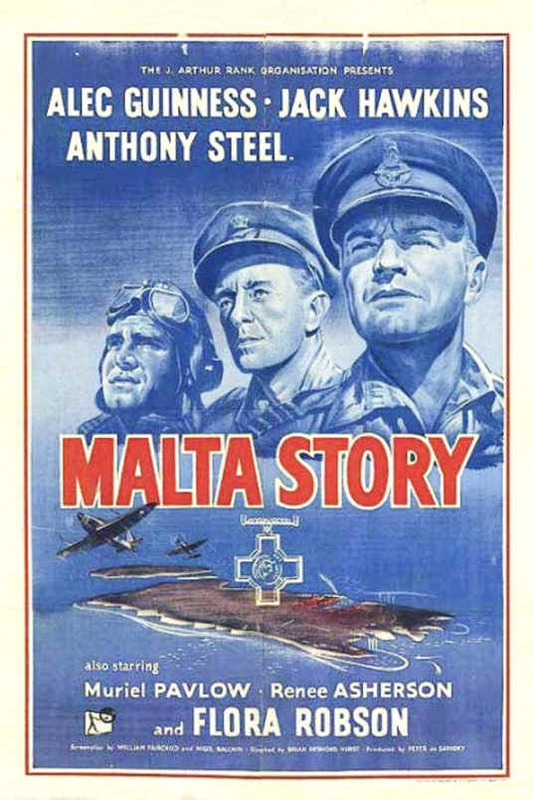 This has been just a brief look at the use propaganda regarding Malta during WWII. Readers who wish to discuss the subject are encouraged to write to the author at sgmbert@hotmail.com.